DOSWELL, VA (Mar. 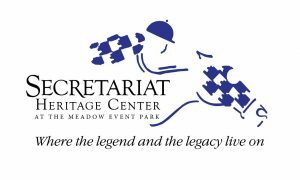 21, 2019) — The Secretariat Heritage Center, a new 501c3 organization, has been formed to celebrate the legacy of Secretariat and Meadow Stable at The Meadow Event Park. The non-profit has plans to elevate the current Secretariat tour program and its existing historic assets to a national heritage tourism destination and educational center. .
Secretariat, acclaimed as the greatest race horse in America’s history, was born at The Meadow in Caroline County on March 30, 1970. His Triple Crown victory in 1973 stands as one of the greatest moments in all of sports, and he remains the only Triple Crown winner since 1919 to break all three track records. Those records in the Kentucky Derby, Preakness and Belmont are still unbroken today and his bloodlines continue to dominate Thoroughbred racing. Initial plans for the Secretariat Heritage Center focus on restoring the original barns which are listed on the National Register of Historic Places and the Virginia Landmarks Register. Included are the yearling barns, with the farm manager’s office and tack room, the stallion barn, Secretariat’s foaling shed, training barn, and a horse cemetery. A Hoofprints of History Trail will link all the key points of interest on the property. A life-sized statue of Secretariat to stand at his birthplace, long desired by fans, is also in the works. The existing Meadow Hall Mansion, which houses galleries and exhibits of important Secretariat memorabilia, will be enhanced to serve as a museum and conference center. The mansion also will continue to serve as a wedding and meeting venue. The vision for the Secretariat Heritage Center is to provide a top-level museum and visitor experience for fans and tourists from all over the country. Through tours of the historic barns, interactive exhibits, photos, videos, memorabilia, historic artifacts, racing trophies, special events and youth-focused activities, it will celebrate the story of the land, the family and the legend of Secretariat. The Center also seeks to showcase the theme of excellence as embodied by Secretariat and his team. Through partnerships, it will foster studies in leadership and excellence with a special focus on women in equestrian sports. The Secretariat Heritage Center plans to conduct a national capital campaign, the Secretariat Heritage Center Promise Campaign of $2.5 million. The chair of this campaign is Kate Chenery Tweedy, daughter of Penny Chenery, Secretariat’s owner. “Fans from all over the nation already flock to the Meadow. We are very excited to bring Secretariat’s and my mother’s inspiring stories to a wider audience,” Ms. Tweedy said. The goal of this campaign is to start the barn restorations in 2020, the year of Secretariat’s 50th birthday, and to have everything in place for the 50th anniversary of Secretariat’s Triple Crown in 2023.